Is there any coming back from this for ACTA? The Anti-Counterfeiting Trade Agreement (ACTA) has been rejected by another part of the European Parliament. The International Trade Committee (INTA) at the European Parliament voted against the bill by 19 votes to 12, although the wider parliament vote is due to take place in July. 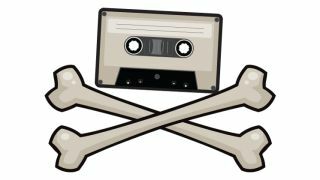 The main point of ACTA is to fight online piracy but has faced harsh criticism from many corners. It has been compared to the US's SOPA bill, which sparked widespread disgruntlement across the internet earlier this year. Both bills could be interpreted to stifle freedom of speech and creativity online. Ed Geraghty, foreign policy spokesperson for Pirate Party UK, explained, "Our objections to ACTA have been consistent. This treaty was discussed in secret and it diminishes privacy in order to protect outdated business models. "It harms developing countries and unfairly favours the big players. It's neither in our interests nor your interests; it's not for your benefit, it's not good for humanity. "Our opponents have attempted to portray us all as extreme or ill-informed. But the response of the EU committees show that we have been right all along. Today's votes by the International Trade committee support that." Peter Bradwell, of Open Rights Group, wasn't mincing his words when he said, "MEPs have listened to the many, many thousands of people across Europe who have consistently demanded that this flawed treaty is kicked out. "This is the fifth consecutive committee to say ACTA should be rejected. It now falls to the vote of the whole European Parliament in early July to slam the door on ACTA once and for all, and bring this sorry mess to an end."